Indulge in the life of rich and famous by becoming one! 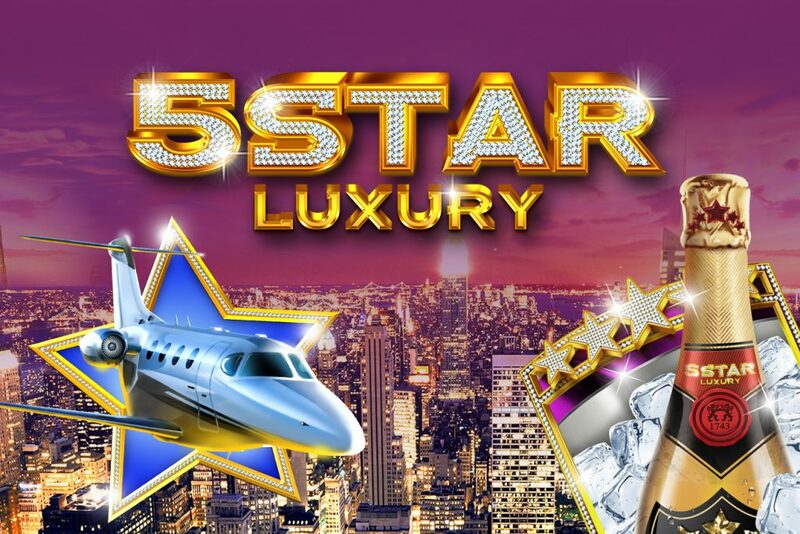 You can do so by playing 5 STAR LUXURY, with its 5 reel - 243 win ways there are big winnings waiting for you. 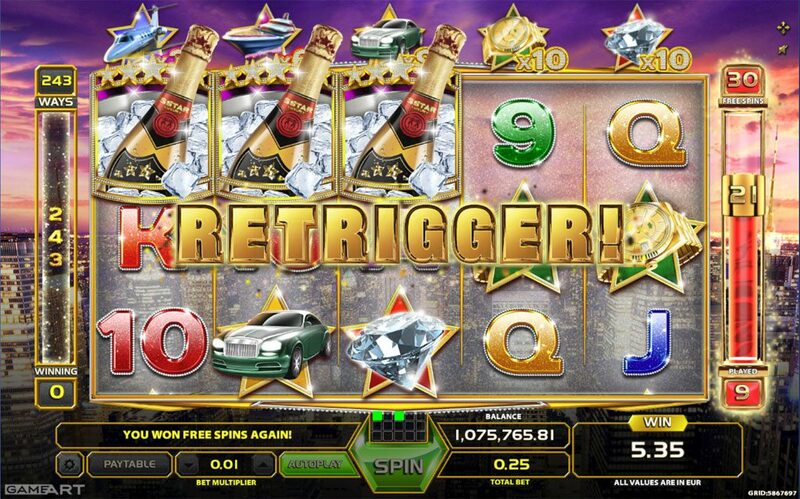 Win 10 free spins with 3,4 or 5 champagne symbols starting from the leftmost reel. 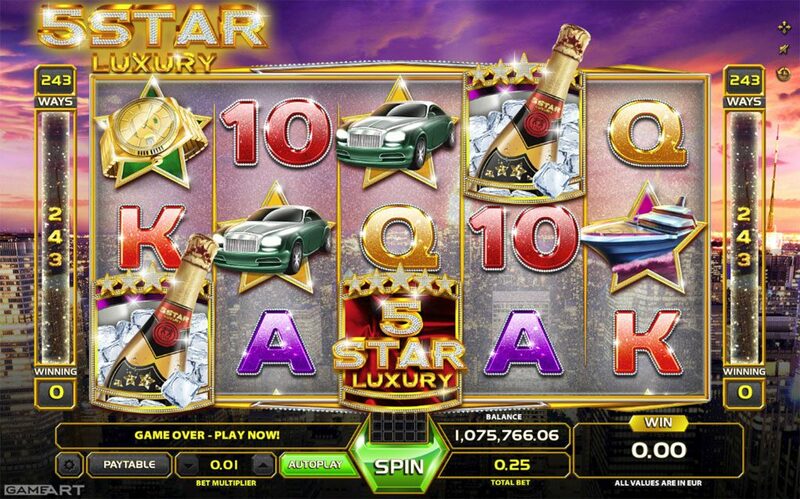 During the free spins jet, yacht, car, watch and diamond symbols wins are multiplied by their respective multipliers shown on the top of the reels. 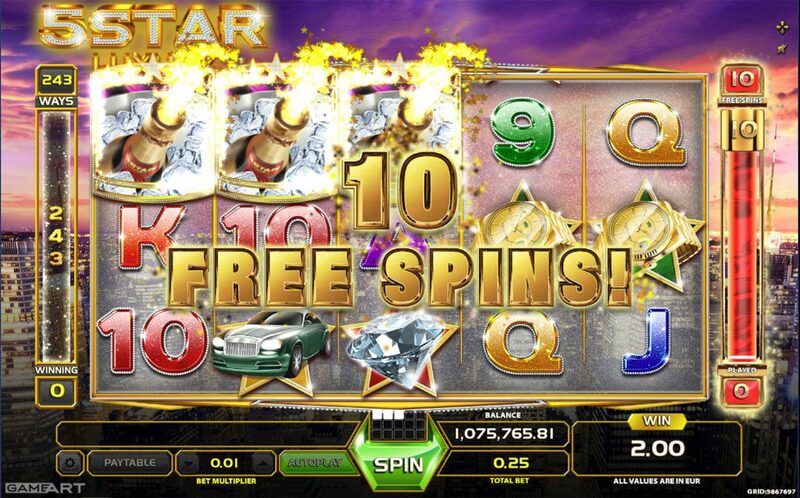 All multipliers start at one and each symbol appearing anywhere on the reels during the free spins increases their respective multiplier by one and could reach a maximum of 10. Bonus feature can be retriggered during free spins. CHAMPAGNE PLEASE!